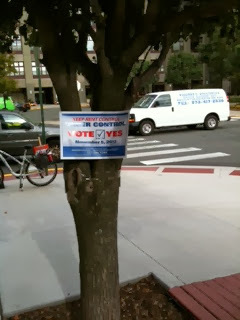 Is there no tree safe from a ballot question? Apparently not. This sign was said to be stapled to a tree for today's ballot question in Hoboken. Just over 4 hours to go!